As 2013 Ends – What Did You Learn? What a year! Certainly not one I expected! Filled with remarkable ups and downs. This will not be a year soon to forget! If you’re like most, you take this time during the holidays to reflect on the previous 364 days. Memories of the good times make you smirk. Thoughts of some of those tough times may make you furl your brow. I know I’ve done a lot of this in these last days of 2013. But the big question is, what did you learn? What were those lessons that stood out to you more than any others in 2013? Priorities Change. As I said in the opening – it was a remarkable year. Tons of great things happening for me personally and professionally, but then one unexpected storm popped up on the horizon that I didn’t see coming. In the last quarter of this year, my wife was diagnosed with stage 4 liver CANcer. My world stopped. My world changed. And so did my priorities. My wife and family were always a top priority, but the amount of time that I am spending with them has increased significantly and everything else has been deprioritized (including this blog). The learning? There will always be forces in your environment that cause you to constantly sort your priorities – you have to be aware enough to see and understand those forces and then flexible enough to adapt to them appropriately. Mentors Matter. Everyone should have mentors. People you look up to. People that will make you better, either by modeling behavior for you or outright helping you. I’ve had several mentors this year that have poured in to me and helped me grow significantly this year. Sometimes you have to seek them out. Sometimes they find you. Either way – get some good mentors! And not just professionally, but personally too! Who was my MVP this year? One of my friends and colleagues that beat CANcer in 2013, became my mentor when my wife was diagnosed. Not only did he model unbelievably awesome behavior of how to handle a tough situation like this, he outright helped my wife and I in our journey. Get good mentors! Attitude is Everything. There is no doubt in my mind that attitude absolutely makes a difference. A bad one can drag you down and a good one can help you soar to new heights. I have a favorite saying, “You can’t always control what happens to you, but you can always control how you react to it.” I’ve seen it multiple times this year – A good attitude makes any situation better. And as a leader, it is even more critical to have a great attitude regardless of the situation. Why? People are watching you. They are modeling you. How you handle a situation has repercussions well beyond the situation. A generation of future leaders will take your example and emulated in their own futures – good or bad. My favorite this year? Back to my CANcer mentor (and his wife). Unbelievable attitude during his bout with CANcer! Simply amazing! Obviously, you can see where my focus is. But some of my greatest leadership lessons came from something very personal. As the clock strikes midnight, I wish you and yours a fantastic and blessed 2014! 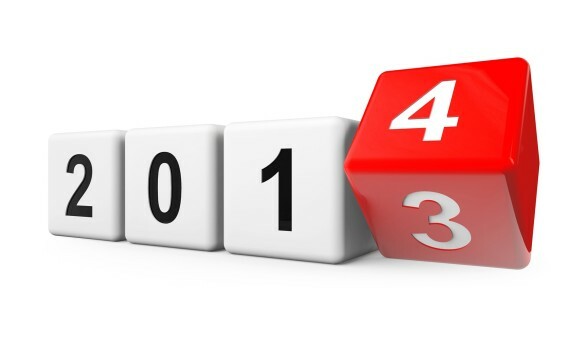 One Response to As 2013 Ends – What Did You Learn? Jason, you are a remarkable person & husband. We Pray that you and Team April will Harvest a Wonderful 365 days of this New Year to find beautiful family days together as your Team kicks CANcers tail ! Happy New a Year my friend!